Through the Wales Programme for Improvement, local authorities have a general duty to make arrangements to secure continuous improvement in the exercise of their functions. The statutory duties underpinnning the Wales Programme for Improvement were introduced through the Local Government (Wales) Measure 2009. 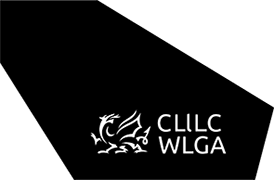 Each year, councils in Wales produce a number of improvement plans and performance reports both for management purposes and to report to the public on their objectives and performance. Every year, each council publishes a document that sets out their longer term corporate vision i.e. what they will do, how they will do it, and how they will monitor progress. Each council has a statutory duty to publish an annual plan which sets out their Improvement Objectives and looks ahead at improvement priorities and targets for the coming year. They must also produce an annual report which documents their previous year’s progress against their Improvement Objectives. In addition, Directors of Social Services have a statutory duty to publish an annual report on social services performance. The WAO works with the Auditor General for Wales who is the public services ‘watchdog’. The WAO audits the financial accounts of councils, reports on how services are being delivered, assesses whether value for money is being achieved and checks how they are planning and delivering improvements. The WAO undertakes an annual assessment of each council and a more in-depth Corporate Assessment every four years. They produce Annual Improvement Reports for each council which comment on their governance, improvement and performance planning and reporting arrangements. The CSSIW is responsible for inspecting social care and social services to make sure that they are safe for the people who use them. They publish annual Performance Evaluation Reports on councils’ social services performance as well as inspection reports of councils’ Adults’ Services and Children’s Services, if applicable. They currently inspect each councils’ education services for children and young people on a six yearly cycle. Some councils may receive follow-up inspections and monitoring reports. Estyn also inspects schools and other education and training providers in Wales at least once within a six year period beginning 1 September 2014.